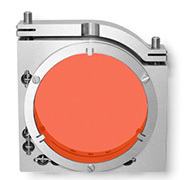 Vertical drive Optical mount is manufactured in two modifications: 5VDOM-1 with flat L-form spring. 5KVDOM-1 with spiral springs. 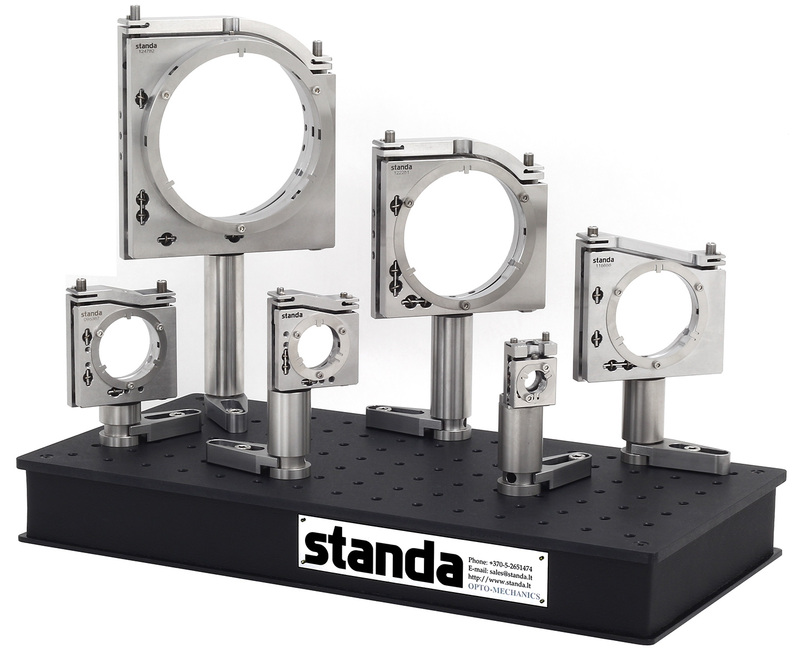 Ultra-stable Kinematic Mirror Mounts 5VDOM-1 are designed to minimize mount-induced wavefront distortions. 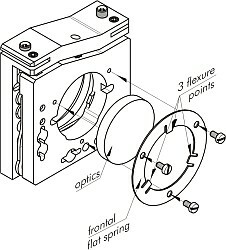 In conventional mounts, the mirror is tightened by a side screw. 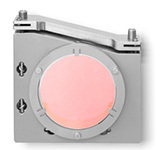 Radial forces acting on the mirror induces parasitic wavefront distortion, such as astigmatism. 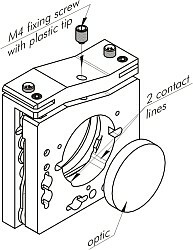 5VDOM-1 mirror mounts use secure 3-points mirror suspension in between frontal flat spring and the back plate. 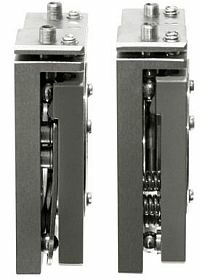 Uniformly distributed axial forces eliminate wavefront distortion. Fixed with 3 spots on flat spring. 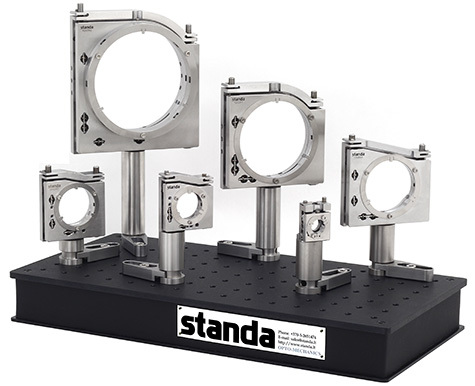 For 6±0.2 mm thickness optics. 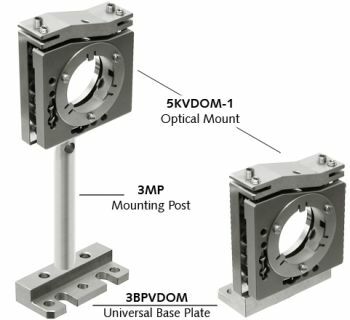 3BPVDOM Universal Base Plate is designed for attaching Vertical Drive Optical Mounts 5KVDOM-1 and 5VDOM-1 to STANDA optical tables or to another stages.